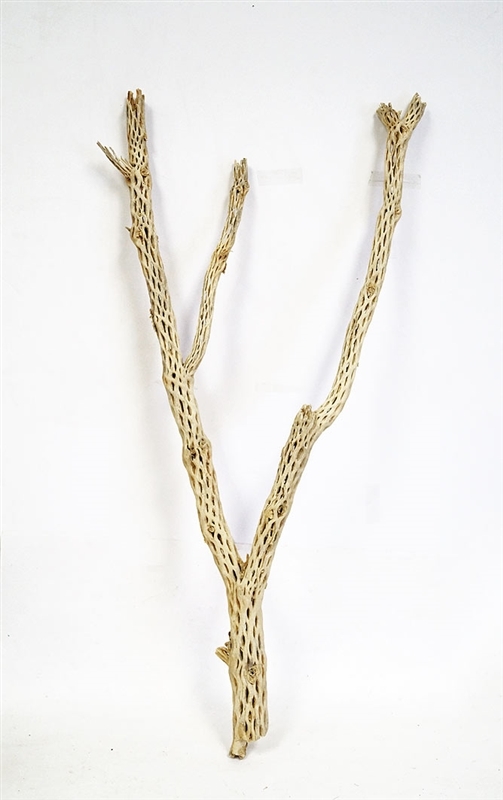 Sandblasted Cholla wood is a skeletal remnant of a Southwestern cactus plant, which has an exotic look and is widely used for decor purposes, as well as centerpiece designs. This limited item is finer and smoother, with a tighter cell structure than regular Cholla branches. Our prices are among the lowest for this size and quality. Height: 32" to 36", approximately. Width: varies per piece. Each piece is unique in shape, although all pieces have a tree-like appearance like the photo. I used this for a reptile setup!! All the pet stores sell little pieces of wood for a lot more, great product great price! !